Want to know God and to grow closer to Him? The best way is have a daily quiet time: A regular time each day where you spend time with God through Bible reading and prayer. A quiet time is a big part of a thriving personal relationship with Jesus! And a quiet time is the simple spiritual habit that will–more than anything else–grow you closer to God. But what can a quiet time with God look like? What do we study? And how in the world can we make daily quiet time a habit when life is already so busy? I completely understand! Let me share with you what I’ve learned about how to have a rich and meaningful daily quiet time with God. Plus, I want to teach you an easy Bible study method for your quiet time! Do You Really Need a Daily Quiet Time with God? Yes, it’s important to have fellowship with other Christians and to spend time learning from spiritual mentors (like a pastor), but truly, the meat of our relationship with God comes with daily time spent reading the Bible and listening to Him speak to us. God wants us to have a growing, thriving relationship with Him, and relationships grow through ongoing, regular contact and conversation. God wants to speak to us personally, and that can’t just come from a weekly sermon. We need to interact with God’s word, listen to His promptings, meditate on His truths and then apply those truths to our lives. A daily quiet time is the key for those personal, one-on-one conversations to happen. A quiet time is how God brings rest and provides encouragement and direction. And it’s how God keeps us strong during life’s biggest trials. I think of a daily quiet time Bible study as having two parts: Speaking and listening. “Speaking” simply means praying to God and sharing with Him not only our burdens but our thankfulness. He wants to be more than just a voice we call out to when we are in trouble. We have the great privilege of dialoging with him back and forth as we walk through our days–sharing both our concerns and joys of each moment. Jesus offers a beautiful model of how to pray in Matthew 6:9-13. I love how His example demonstrates not only a reliance on God but a deep trust in God to provide all that we need through every situation. In our quiet times, we can approach God in prayer with confident expectation because we know that He loves us unconditionally, wants to provide for His children and even tells us to share our concerns with Him (1 Peter 5:7). Obviously there’s much more to say about this important aspect of a quiet time. If you’d like to learn more about prayer, please check out this post that gives 23 tips to a powerful prayer life. Along with speaking to God during a quiet time Bible study, we need to become learn how to listen to His voice. The Bible is the main way that God speaks to us (not just in a quiet time, but any time). Any spiritual leading or convictions we may hear from God will always line up with scripture. The 5Rs Bible Study™ Method is one of the easiest and best ways I’ve found to read, listen and apply God’s word to daily life. I have taught this method to thousands all over the world, and I would love to share it with you as well! Just enter your info in the box below and I’d be glad to send you my free 3-session video course called “How to Study the Bible In Only a Few Minutes a Day”! Reading God’s word (and truly allowing it to speak to your heart through a daily Bible time) is a sure-fire way to practice listening to God and learning Jesus’ voice (John 10:1-16). 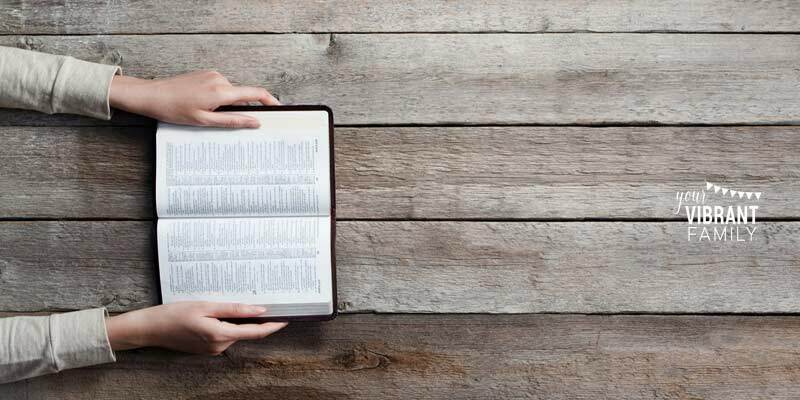 Learn how to understand the Bible and apply Bible verses to your life with this free course! 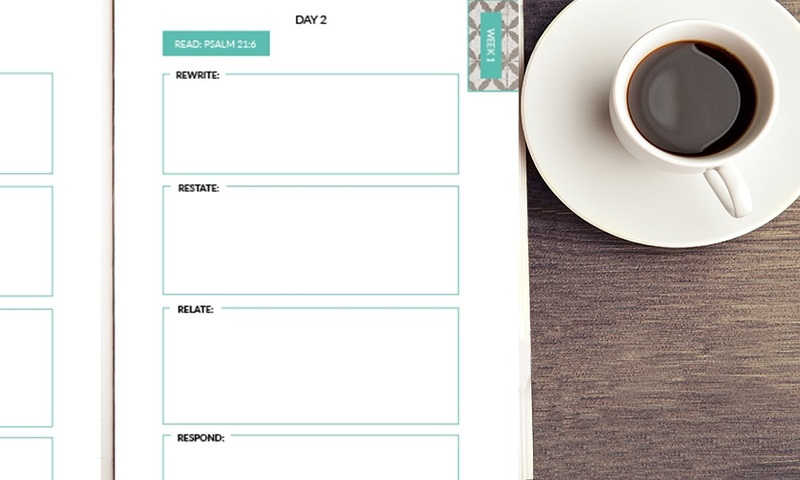 Quiet Time Idea 1: Come up with your own quiet time Bible study topic using a study Bible with a concordance. Scripture is full of wonderful principles and teachings on how to face every aspect of life. I love that we can go to God’s word every day in our quiet time and ask Him to teach us exactly what we need for today’s issues and problems. I highly encourage women to use a study Bible with a concordance in their daily quiet time so that they can look up scripture verses by topic and get God’s full perspective on a given topic. Quiet Time Idea 2: Work through a women’s Bible study during your daily quiet time. Many women tell me that they have no idea what to study each day. Or they tell me that they aren’t sure where to look for the right verses, and just want something they can open and work on. If you feel that way, you’re not alone! I totally get it! And that’s why I created the 5Rs Bible Study™ Journals. These are 6-week-long Bible studies that use the 5Rs Bible Study™ Method to analyze a group of 30 Bible verses around a specific topic, such as love or joy. 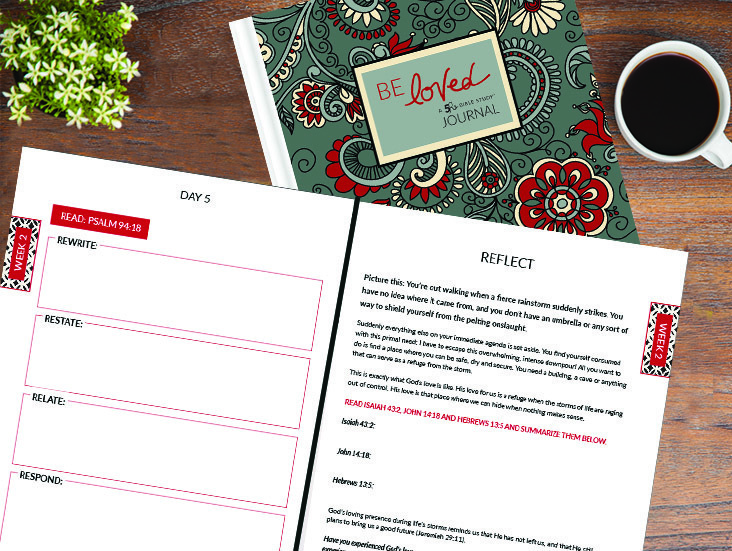 The 5Rs Bible Study Journals are full-color journals with a scripture verse (and the 5Rs Bible Study Method) outlined for each day, making daily Bible study for women extremely simple and plug-and-play. Plus at the end of the week in the “Reflect” section you’ll find additional discussion questions and journaling prompts so that you can dig even deeper into what you’ve learned in that week’s 5Rs study. Perfect for group or individual study, right? And another inside peek… Another one of my favorite parts are the devotionals that start off each week. 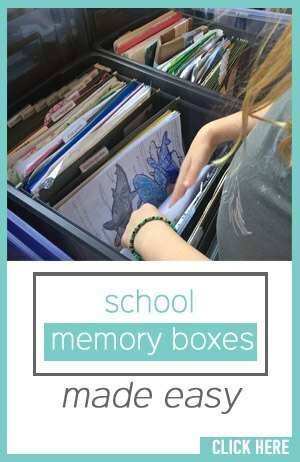 They’re a great way to introduce that week’s topic and to be encouraged! Can you see how these journals make it so much easier to have a fruitful quiet time with God each day?! Now that you can see the power behind a daily quiet time with God, I’ll bet you’re wondering how in the world you’re going to fit a daily quiet time habit into your life. I understand! I have an extremely full, busy schedule as well as a wife and working mom. 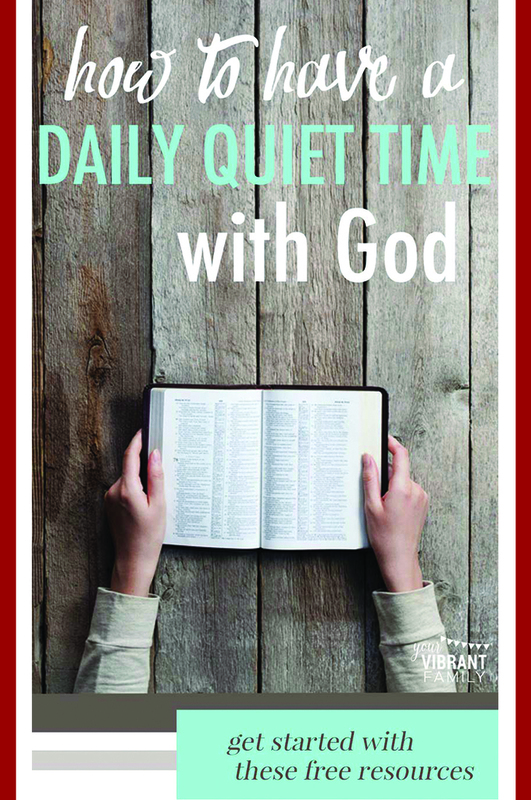 I want to share with you my secrets for making daily quiet time with God a habit. Learn more here about how to build the habit of regular quiet times in your life. What If I’ve Never Known God in a Personal Way Like This Before? Perhaps the idea of a relationship with God is completely new to you. Or perhaps you’ve been in church all your life and only thought of God as someone you learned about on Sunday during a service. Or maybe you’ve only known God as a mysterious, far-off being in the sky that seems to be holding an iron fist of judgement. I want to share with you something that will change your life: God not only created every part of you (Psalm 139) and has known you since before time began, but He loves you and takes delight in you (Zephaniah 3:17)–just for who you are. He determined every detail that makes you you–everything from the color of your hair to your silliest quirks. And His plans for you are for good, and not for harm (Jeremiah 29:11). 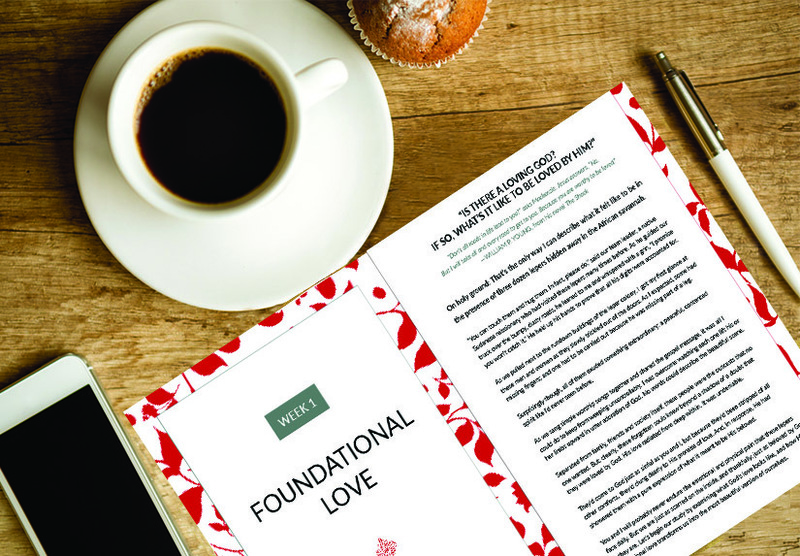 He has allowed the suffering you’ve experienced in your life as an invitation to dig deeper–an invitation to learn more about the One who wants to give you the fullest, best life even through the difficulties. If you’ve never started a spiritual journey like this with Jesus, go here to learn how you too can have a personal relationship with God. What good is it to have a daily quiet time with God and read your Bible if you can’t apply scripture to your life? That’s why I want to make sure that you get access to the FREE “How to Study Bible” video course that explains the simplest way I’ve found to analyze and apply Bible verses: the 5Rs Bible Study™ Method. 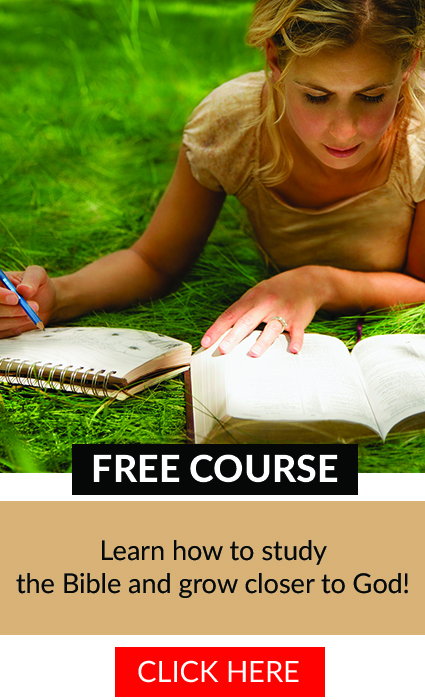 And of course, don’t forget to sign up to get the free “how to Study the Bible” video course! It’s a wonderful way to learn how to connect with God in your daily quiet time!